Even as I shoot these images, the story changes. The idea of a coordinated, funded, controlled search has fallen apart where the body counts are just too high. 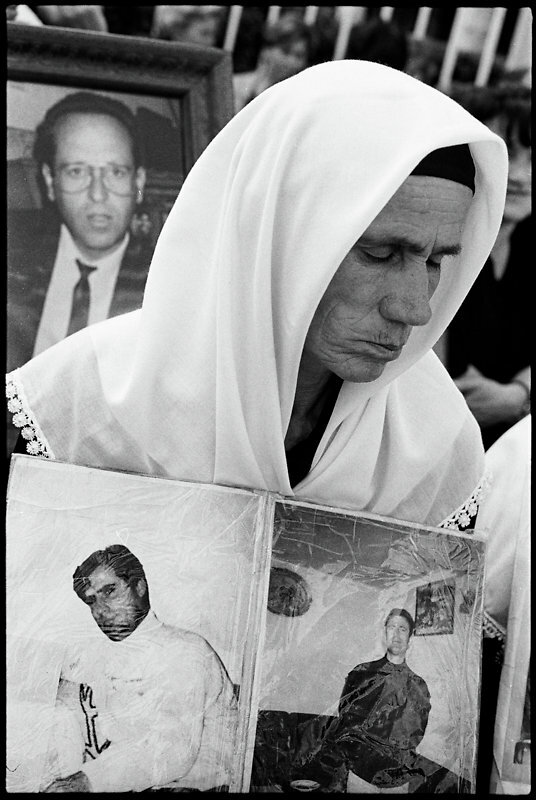 Kurdistan, Rwanda, Congo, and other killing fields will never identify all the dead. It may not matter, after all. Images from the search for the missing in Kosovo. Second prize in the World Press Photo 2003, science division. Many of the bodies recovered by the U.N. 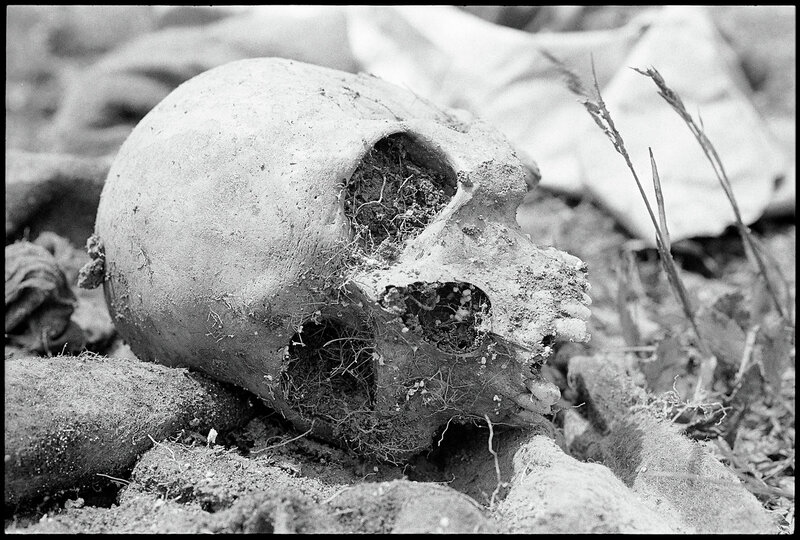 Missing Persons Unit are actually just pieces of people, such as this unattached skull found at a reburial site. The International Tribunal for the former Yugoslavia (ICTY) reburied many of the bodies it used for its investigations against Serbian president Slobodan Milosevic in mass graves but without having properly identified the corpses. Families of the missing protest against the lack of information about their relatives outside the parliament building. There is not much information to be had, and communications between the many groups involved in the search for the missing is poor. 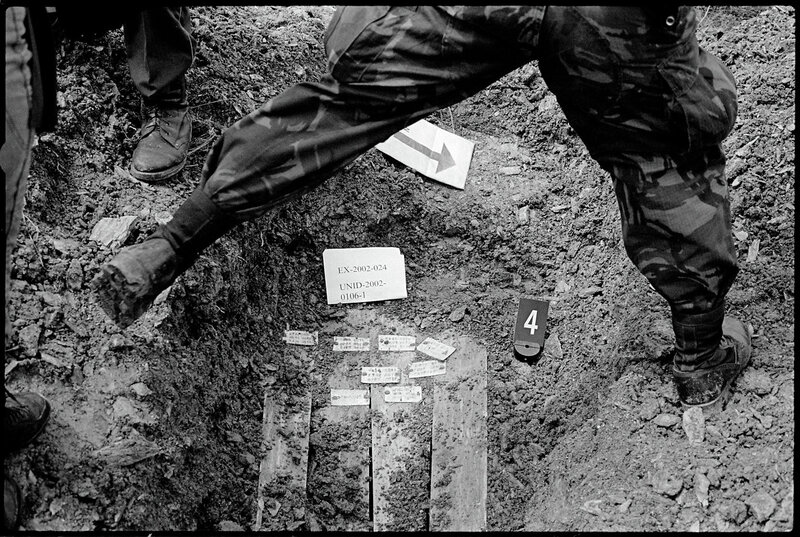 After finding a booby-trapped body, all exhumations require that a NATO military demining team check the site for explosives each 10cm of digging, even in a reburial site. The International Tribunal for the former Yugoslavia (ICTY) reburied many of the bodies it used for its investigations in graveyards of the unidentified. 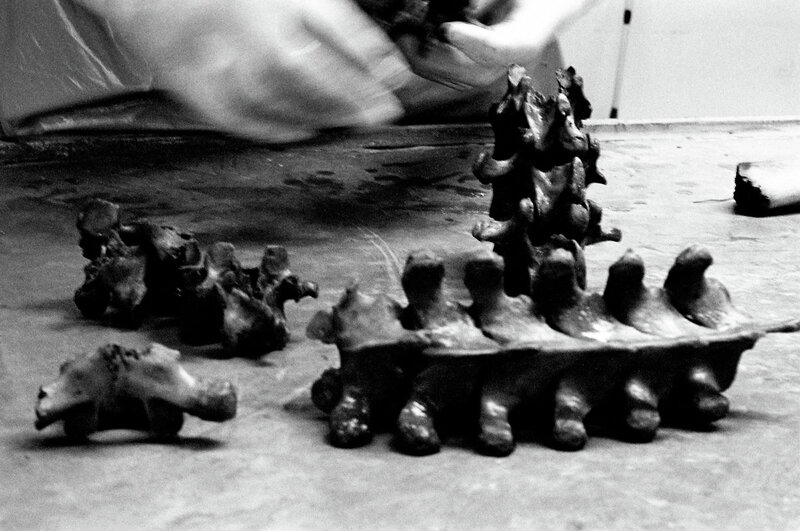 A forensic anthropologist puts together a spinal column in the Orahovac/Rahovec morgue in Kosovo. 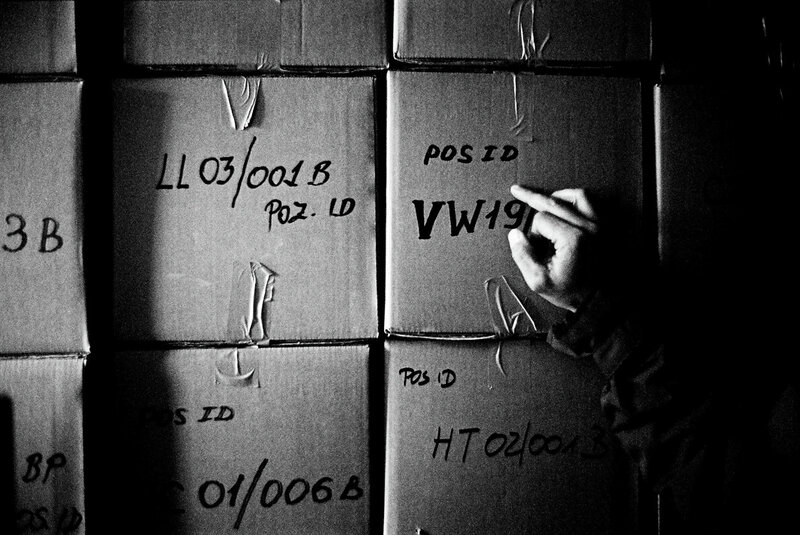 Body bags often contain more than one body, so the investigators must piece them together to see how many they have found. Forensic anthropologists at the morgue in Orahovac/Rahovec check bodies with an X-ray before working on them to look for evidence, such as bullets or shrapnel. 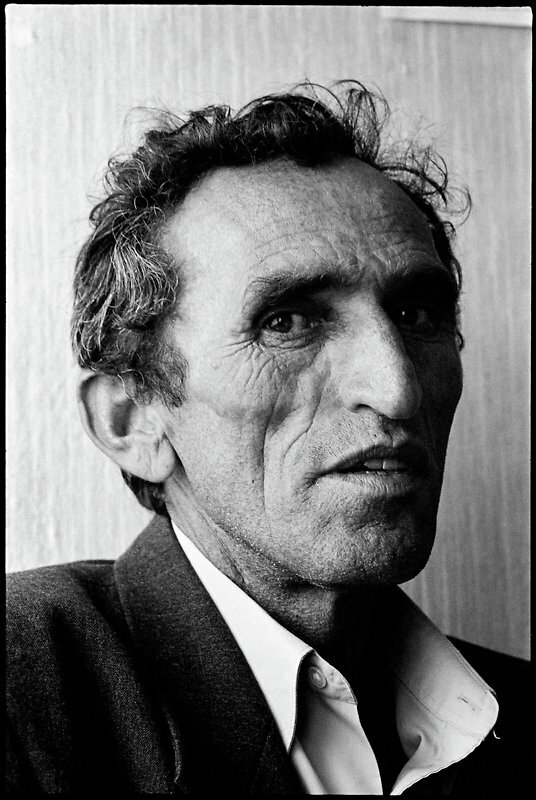 He claims to be the survivor of a massacre near Glogovac. He was visiting the office of the Center for the Defense of Human Rights and Freedoms (CDHRF) in Kosovo. The CDHRF field offices are as much a place to complain, talk, and vent frustrations, as they are sources of information for the relatives of the missing. Bones are put into bags and brought to the morgue for autopsy, to gather information for identification and DNA testing. 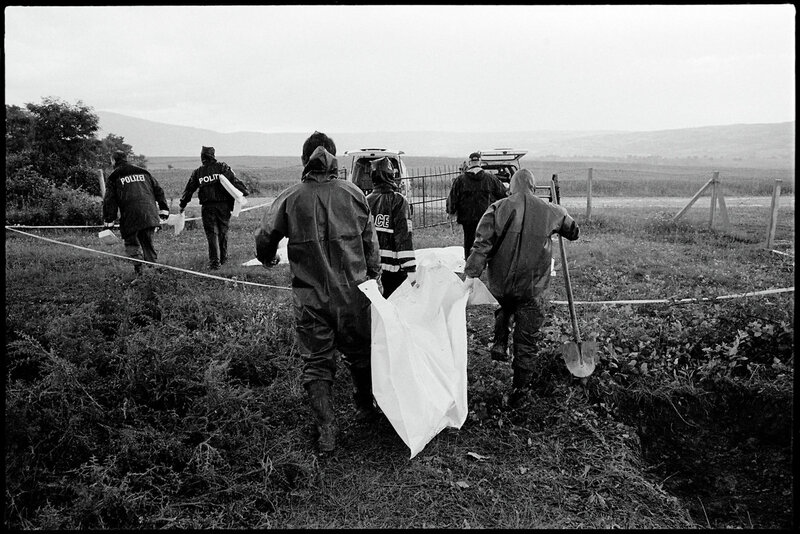 The Missing Persons Unit of the United Nations police in Kosovo digs up bodies for identification all over Kosovo. The International Tribunal for the former Yugoslavia (ICTY) reburied many of the bodies it used for its investigations against Serbian president Slobodan Milosevic in mass graves but without having properly identified the corpses. 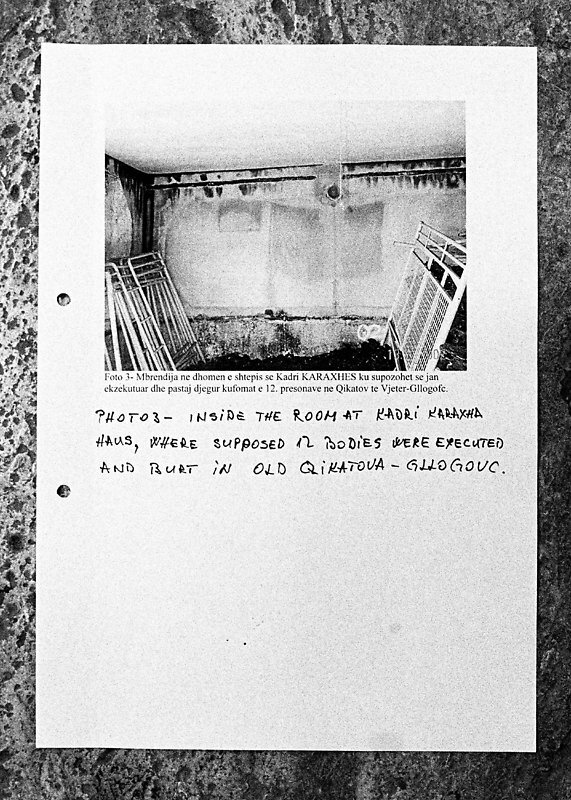 A page from a file on a missing person, from the U.N. Missing Persons Unit (MPU). The MPU handled all conflict-related missing persons cases between late 2001 and 2002. 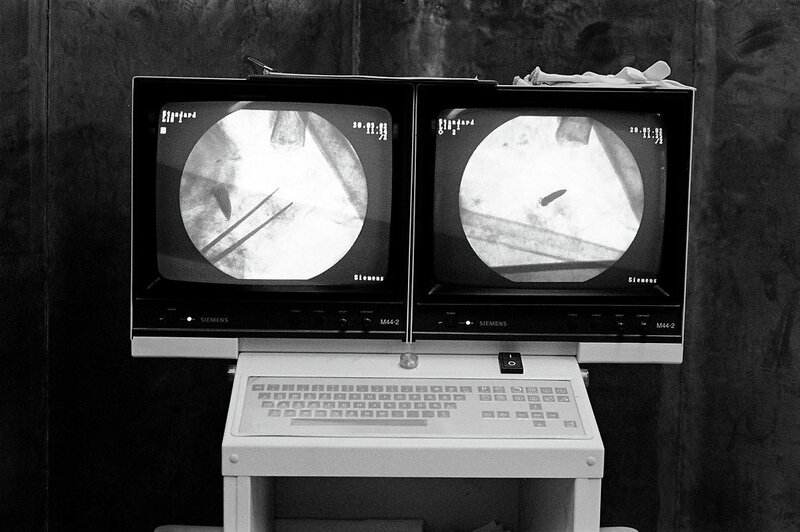 Files contain standard forensic evidence, including photos, charts, and witness testimony. Bodies are stored in white body bags and cardboard boxes in refrigerated storage containers, awaiting identification or reburial.